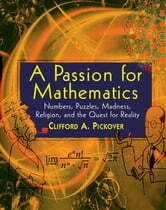 A Passion for Mathematics is an educational, entertaining trip through the curiosities of the math world, blending an eclectic mix of history, biography, philosophy, number theory, geometry, probability, huge numbers, and mind-bending problems into a delightfully compelling collection that is sure to please math buffs, students, and experienced mathematicians alike. 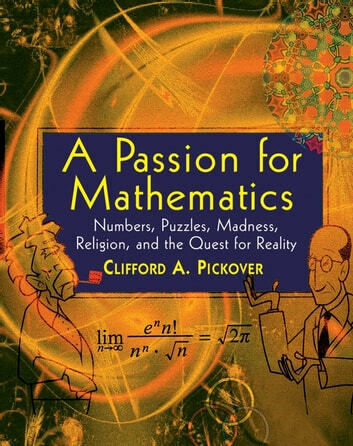 In each chapter, Clifford Pickover provides factoids, anecdotes, definitions, quotations, and captivating challenges that range from fun, quirky puzzles to insanely difficult problems. Readers will encounter mad mathematicians, strange number sequences, obstinate numbers, curious constants, magic squares, fractal geese, monkeys typing Hamlet, infinity, and much, much more. A Passion for Mathematics will feed readers’ fascination while giving them problem-solving skills a great workout!